I’m perhaps a week late in reporting the happy news that The Christie, formerly known as The Christie Hospital in Withington (Manchester) has been told by the government that the NHS will pay back the £6.5m lost in the Icelandic banking collapse. Without the support of 100,000 people who signed The Manchester Evening News petition I highlighted here last month, it is doubtful The Christie would have been successful. The return of the money now means that some important projects that could have been scrapped, can now go ahead – including a remote unit at Salford Royal Hospital. 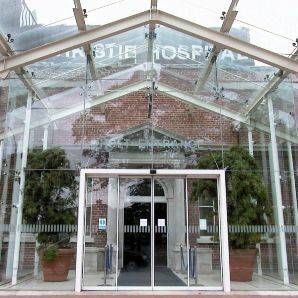 The Christie is a hospital I have a keen interest in, not merely because I visit it every year for my annual check-up – for a condition that is non-cancer related. You see, not many people know that as well as being a world-renowned cancer research centre, The Christie also specialises in other cutting edge fields, such as Endocrinology (the department I visit). The staff at The Christie are some of the most hard-working and caring individuals I know, staffed with experts from around the world all working in a modern, clean and efficient hospital. A tribute to the NHS. At my last visit a few weeks ago, I was pleased to see further development of the hospital taking shape. A new wing is being built and a long overdue multi-storey car park should be ready well before my next visit in 2010. The Christie still needs your regular donations and these can now be done on-line here, as well as in person at the hospital. Personally, I get a little satisfaction dropping the money in the big red bucket in the main reception – but for those that can’t get to Withington, please donate something if you can. Twitter off-line, how will the world cope?